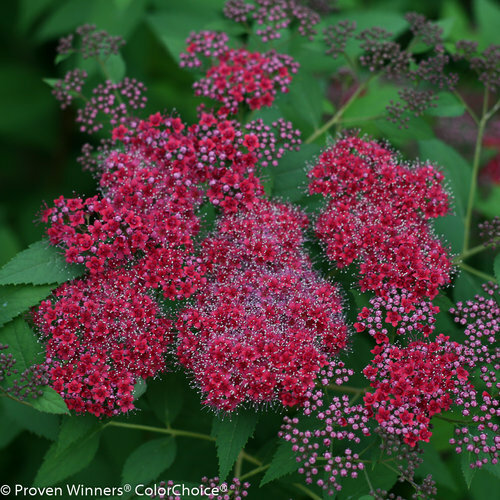 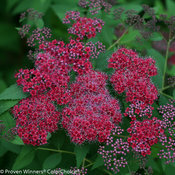 Double Play spireas have vibrant flowers and stunning foliage. 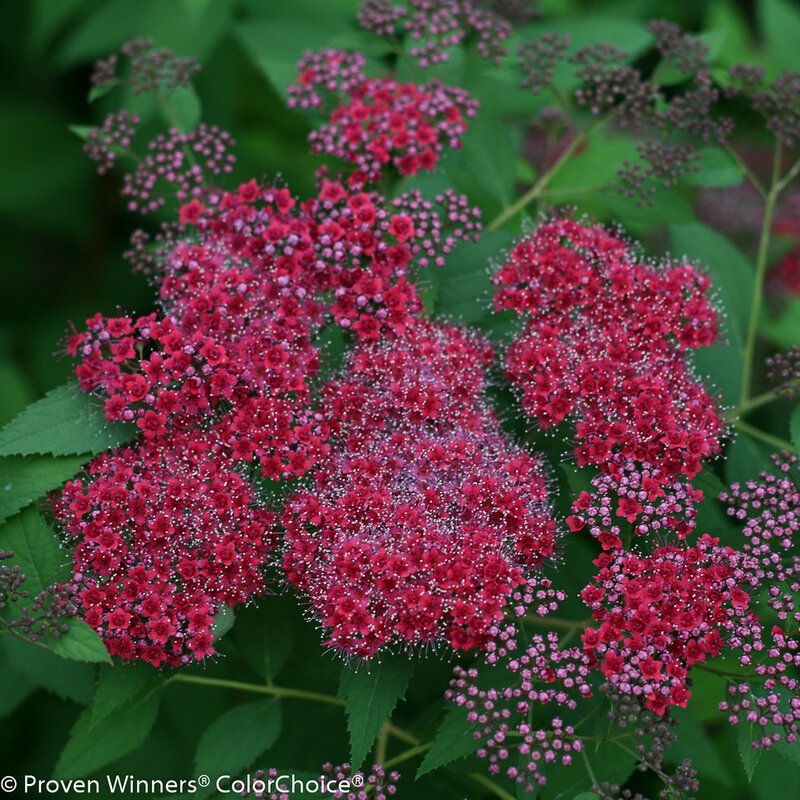 Double Play Red is a flower color breakthrough, with nearly-red flowers. 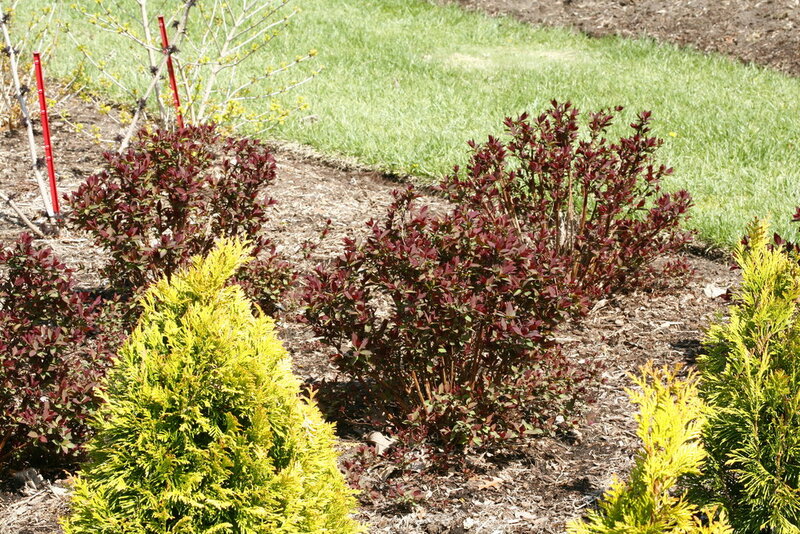 Add in showy dark burgundy spring foliage and you've got the perfect double play! 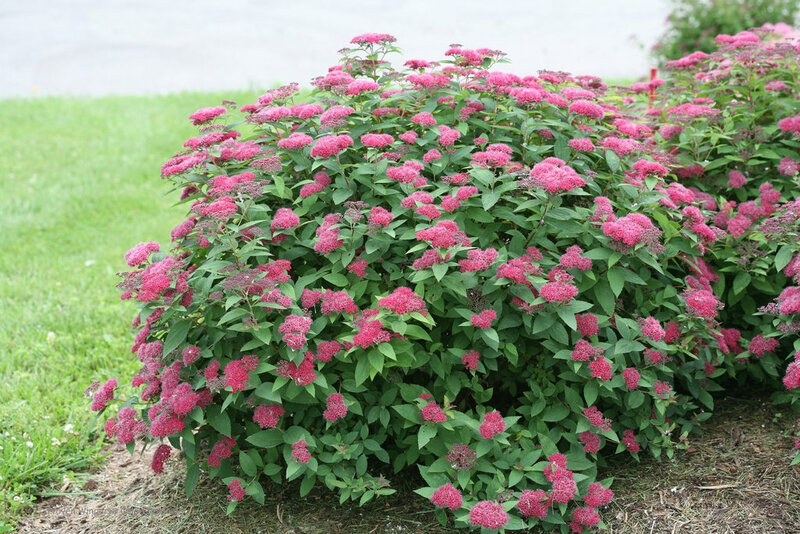 Adaptable to most moist, well-drained soils. 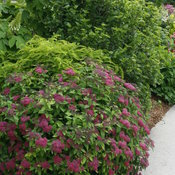 Fertilize in spring, and prune after flowering. 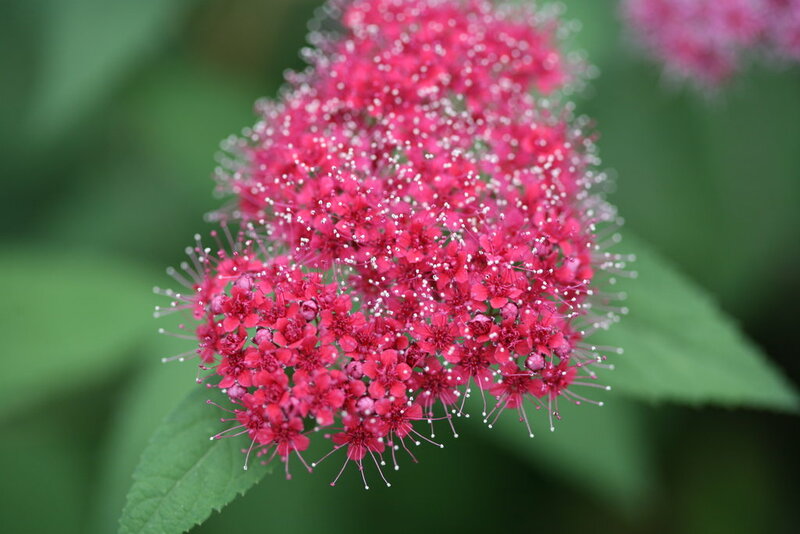 My local nursery carried this spirea variety for the first time last spring (2018). 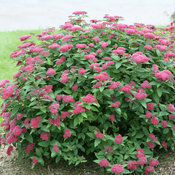 I bought 2 of these, and planted them in an area that gets full afternoon sun. 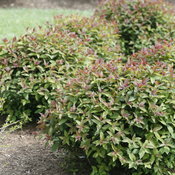 They are a low height, spreading shrub which worked well in the front of my shrub bed, planted in front of 3 foot abelias and loropetalums. 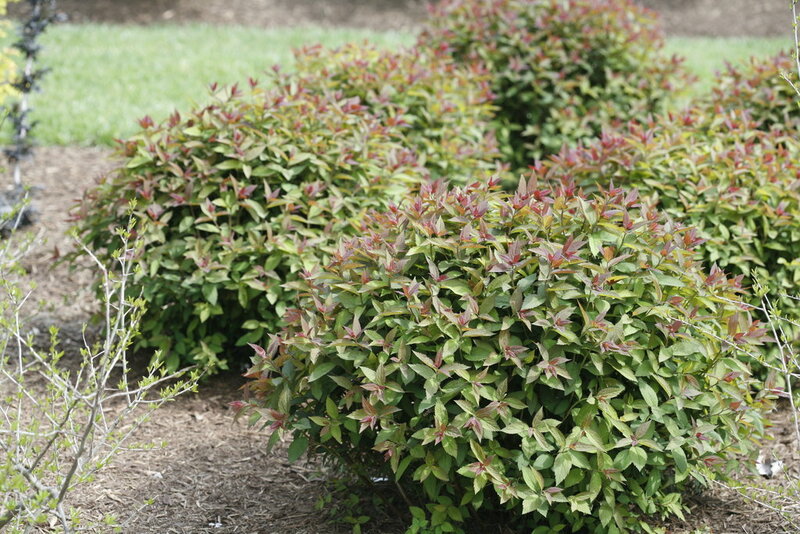 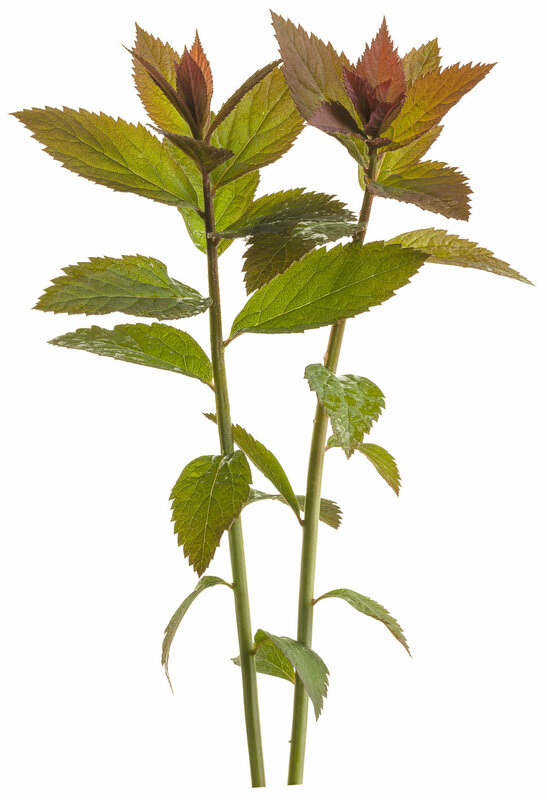 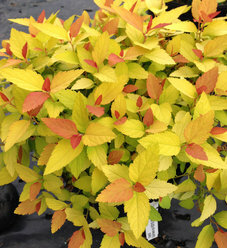 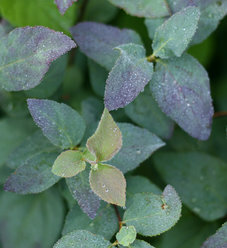 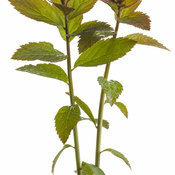 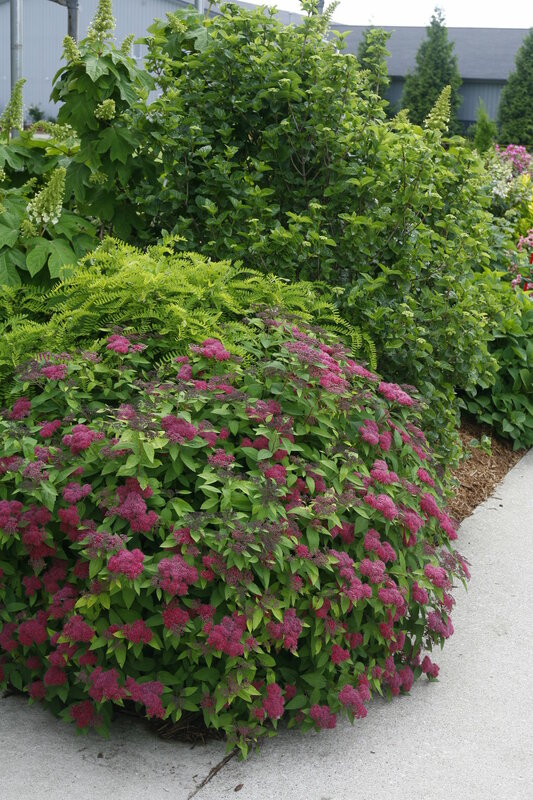 The foliage on these spirea plants is very attractive, with burgundy tipped leaves. 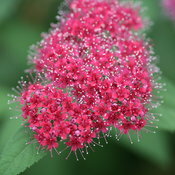 The plants bloomed continuously through the summer, with what I would describe as magenta colored blooms. 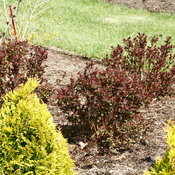 They died back to the ground over the winter, but emerged rapidly in the spring with beautiful foliage. 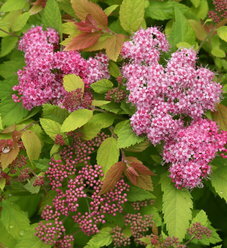 I am really enjoying these plants.